When a Disney/Pixar “March Madness” bracket started making the rounds on the internet recently, I was compelled to fill it out. It pitted classic (and some new) animated Disney movies against Disney-owned animation studio Pixar. Some of the match-ups were near impossible (you want me to pick between “Inside Out” and “Finding Nemo?”), while others were a little too easy (“Toy Story 3” vs. “The Good Dinosaur”). 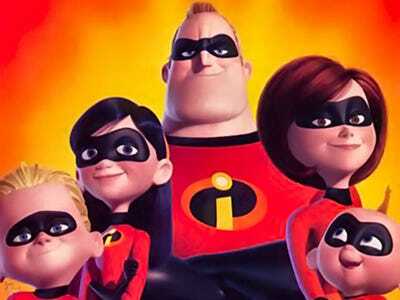 But one thing was always clear in my mind: “The Incredibles,” about a family of superheroes, is Pixar’s best film. But for me, “The Incredibles” stands above them all as a near-perfect movie (and one of the greatest superhero movies of all time) about family, responsibility, and teamwork. I fell in love with it when I saw it in a theatre at 11 years old and still love it to this day. After 14 years of waiting, a sequel finally comes to theatres in June from the director of the first movie, Brad Bird – but it has a lot to live up to. It captures the best aspects of classic superhero stories — while also being ahead of its time. “The Incredibles” isn’t just Pixar’s best movie – it’s also one of the best superhero movies of all time. It captures the essence of classic superhero stories, while also introducing concepts that would be touched on in future ones. “With great power, comes great responsibility” is Spider-Man’s famous creed, and the characters of “The Incredibles” embody this as well. As a family of superheroes, Bob and Helen Parr, a.k.a. Mr. Incredible and Elastigirl, must drill into their kids’ heads that their powers are a major responsibility and shouldn’t be taken lightly, which can be said for a lot of things kids will encounter growing up. By the end of the film, the Parrs finally realise that if they want their kids to take their powers seriously, they have to learn to trust them with those powers, too. And the fact that it focuses on a family of superheroes also evokes a Fantastic Four-like quality – meaning it’s basically the best “Fantastic Four” movie ever made. But “The Incredibles” was also ahead of its time. In the beginning of the film, superheroes are forced to retire by the government when public outrage over the heroes’ unchecked power reaches new heights. If it sounds familiar, it’s similar to what happens in Marvel Comics’ “Civil War” event, and then in the 2016 movie “Captain America: Civil War,” where the government passes legislation that forces superhumans to register their identities. 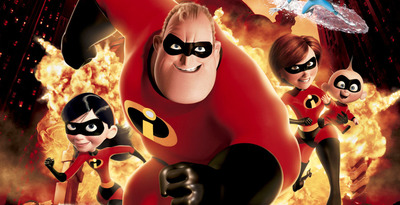 “The Incredibles” has by far the best action sequences of any Pixar movie, which admittedly doesn’t exactly make it “better” than any of them on its own, but it does give it an edge. 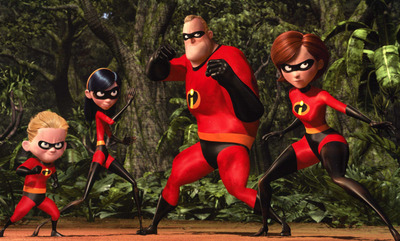 The action in “The Incredibles” puts you on the edge of your seat. Take the nail-biting plane crash sequence, for instance. Helen is flying a jet to the island that Bob is trapped on, and discovers that the kids, Dash and Violet, snuck on board. The villain Syndrome launches a missile at the plane, and the moments that follow are simply thrilling. When Violet can’t project a force-field over the plane, Helen has to scoop them up and parachute down to the water below, and all the while Bob can only listen in terror as he believes his family was just killed. … but also a relatable family drama. I already touched on how “The Incredibles” deals with themes of family, which isn’t new to Pixar stories. But “The Incredibles” was the first of the bunch that felt like it was truly relatable for any age group. The movie was Pixar’s sixth animated feature, after “Toy Story,” “A Bug’s Life,” “Toy Story 2,” “Monster’s Inc.,” and “Finding Nemo.” What do all of those movies have in common that “The Incredibles” doesn’t? They all focus on non-human characters. Nothing against toys, bugs, monsters, or fish, but “The Incredibles” was the first Pixar movie with human main characters, ones you could truly identify with whether you’re a parent or a child. The other movies captured feelings we could identify with – whether it was nostalgia for childhood or the anxiety over losing a loved one – but “The Incredibles” dealt with mature themes and delivered them in a way more people could connect with. Sure, they were superheroes, but they were also flawed characters. It has a rich history not seen in other Pixar movies. When you’re watching “The Incredibles,” it always feels like there’s so much more to discover about the story and the history of the characters, which isn’t always the case in Pixar movies. We’re introduced to Bob and Helen when they are young superheroes, when others like them existed. A lot of that backstory is hinted at with costume designer Edna Mode’s character, who speaks fondly of a time when she made super-suits (but hates the capes). And the entire story revolves around a plot to kill the remaining supers, which alludes to the fact that there are so many more characters in this world who we aren’t introduced to. That’s fine, though, because what the movie does so well is zero in on its core group of characters while also highlighting that there is a larger world than just them. The movie balances this expertly, and it’s a testament to how well it is thought-out and written. There could have easily been spin-off movies from “The Incredibles,” but it’s refreshing that director Brad Bird waited 14 years for even a sequel because he wanted the story to be just right. Here’s hoping it’s worth the wait.